Victory Word Church rocks! You guys are the best. I have not seen such a church family that worked so hard. 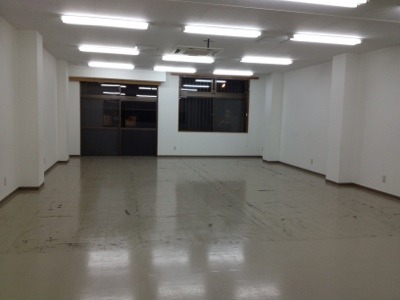 We opened our first facility in Tokyo 22 May 2005 and used this facility until today 27 May 2012. People have been healed, financial breakthroughs have occurred, the homeless have been helped, people who don’t know Jesus have heard the Word, and countless other events and parties occurred in this first little church of ours. Our largest event in Tokyo had 83 people in this place. We’re believing God for even greater things to happen. Our new place will be ready on Saturday so we stashed much of our sound equipment and stage into whatever extra space we could find. We didn’t get a picture of everyone (above) but special things to the 20 plus people who worked diligently to get us out of the old building. I am stoked to get into our new Tokyo church facility on Sunday. We move equipment into the new place on Saturday from 5pm. It will be very nice. Previous Previous post: Researchers believe that Jesus, as described in the New Testament, was crucified on Friday April 3, 33 A.D.